Down here in Florida we have been so lucky to have had a warm winter! I’m excited about it, and I think it’s a good thing it was warm, BUT that’s probably because I also hate the cold and don’t think it should be a degree below 70 if it doesn’t have to be! I think this year we have probably averaged a daily high of 80 degrees, with a few days colder and a few warmer. Other than good beach and theme park weather (obviously! ), this also means awesome gardening weather! My funny shaped apartment patio has not stopped me from growing my own plants and produce! Currently I have over 15 different species of plants growing. 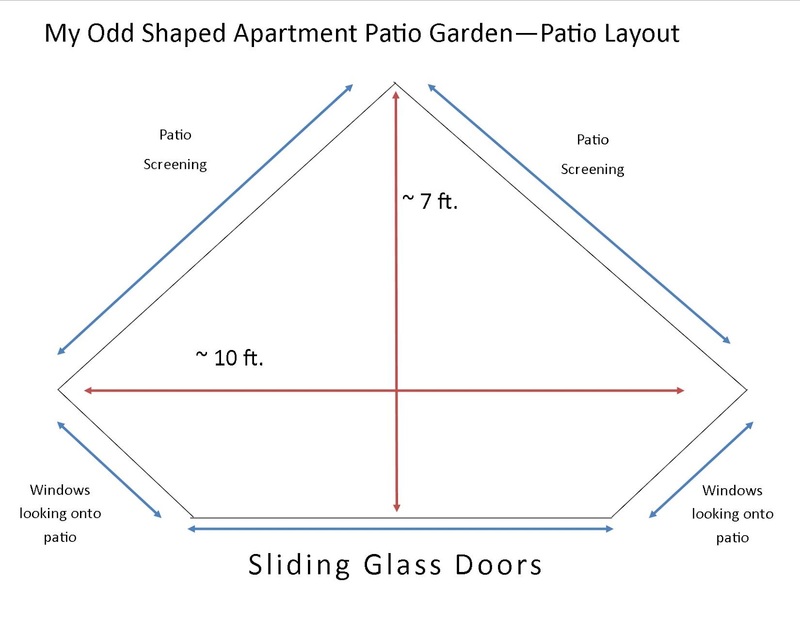 I know you are probably like; wtf is she talking about “funny shaped patio”. It really is just an oddly shaped patio. You could PROBABLY fit a small little bistro set on it, BUT then where would I put all my plants?! With all the corners and windows, it’s just odd, that’s the best I can describe it. I still have a chair out there I can sit and enjoy my little garden in, so I’m happy. 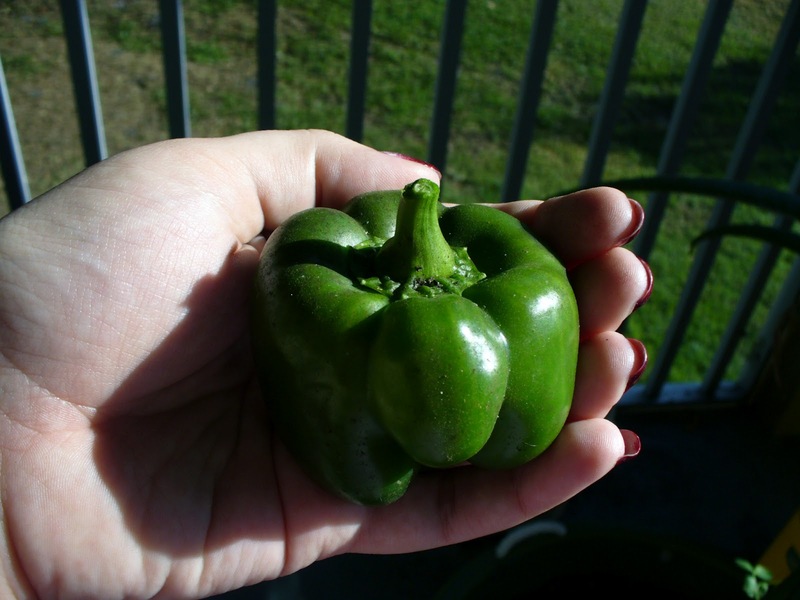 Recently I was able to pick a cute little bell pepper which is my first pepper picking ever! It was so cute and little! Baby Bell Pepper grown on my apartment porch! Hopefully soon I will be having some fresh organic broccoli. My plant is already pretty far along; I can’t wait to have homegrown veggies! Oh wait, make that 16 different plants! I forgot about my little Christmas Tree! And a mini Christmas Tree! 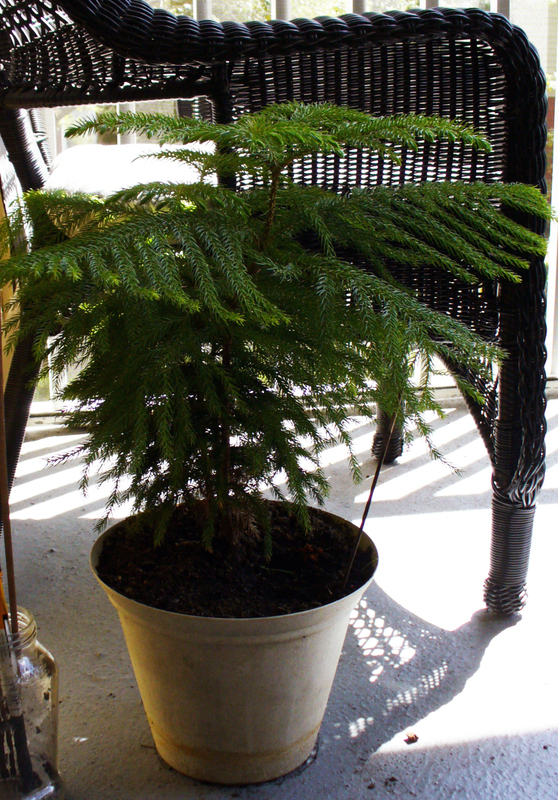 ….All growing in my little tiny apartment porch! If you have interest in gardening, I really encourage you to try it out. Start with something tiny, and simple to grow, like herbs, if you are hesitant. 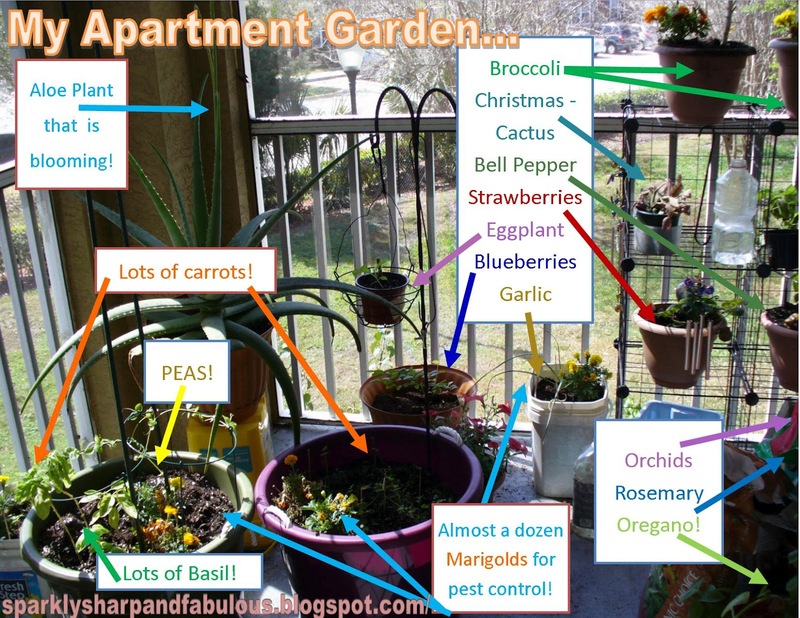 You obviously don’t need a massive area to garden in. Almost all of the things I am growing are edible and 100% organic. Can’t beat that! In other news, more SHINY DIY posts with glitter coming soon!!! omg such a fab idea! i have the same problem..hmm! Id love to grow my own carrots! We got SO lucky this year with winter temperatures! I think I wore a sweatshirt maybe 10 days total, and those were few and far between! What are your plans for planting this year? Got lots of ideas in mind?